It all starts in choosing a partner that understands you. When you're presenting yourself to the World's biggest brands then you want a web design & development partner that makes you look better than just 'good'. 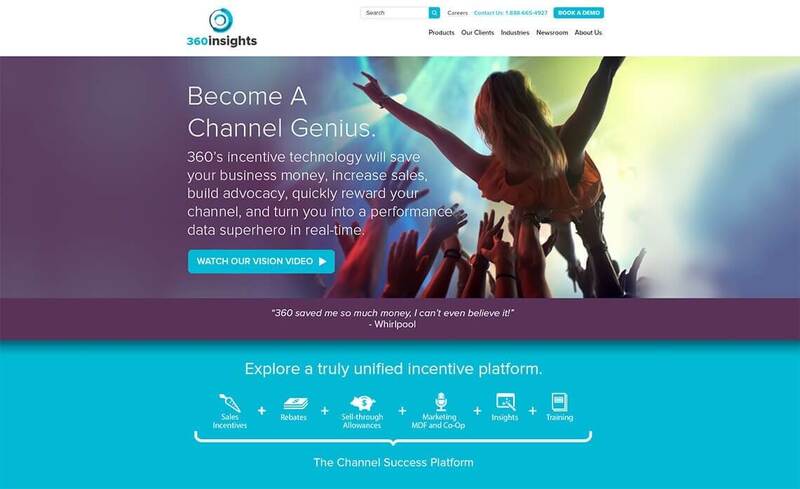 That's why 360Insights chose DIT to partner with in the midst of repackaging their brand. Understanding that their client's biggest need was delivering a website that truly reflected the innovative nature of its people and business. DIT guided 360Insights throughout the planning, design, development and roll out phases- and, all in record time. One of the greatest challenges was coordinating the efforts of creative and technical teams from both DIT and 360Insights under aggressive timelines. Using collaborative on-line planning, revision and approval tools, including group video and remote desktops, the project team was able to stay focused on hitting deadlines while staying within budget. 360insights is recognized as one of Canada’s best medium-sized workplaces in the country and became the only company in history of the award to simultaneously hold ranking in the top four positions consistently for four straight years while growing the size of its team by over 382%. It has grown its brand into a global juggernaut partnering with some of the worlds biggest manufacturers driving huge volumes of stakeholder traffic to its website. It faced a real need to keep its brand’s message clean and simple for both employees and customers/users, alike. 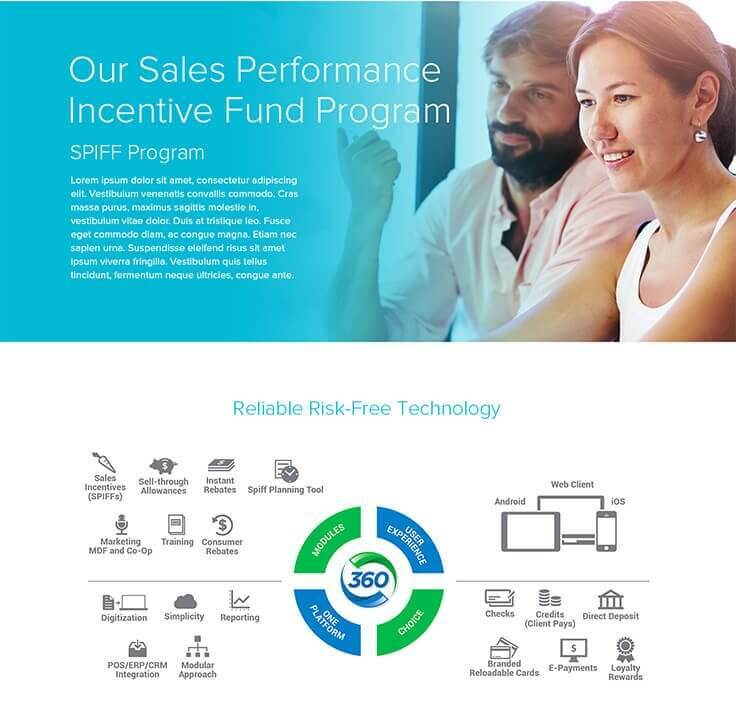 In 360’s case, that message is aimed at a multi-tiered user base consisting of end-customers seeking rebates for their products, the front-line salespeople that sold them the products, the marketing and management teams overseeing 3rd party big-box store retailers and all the layers of accountants and oversight to avoid fraudulent or costly overpayments. Every stakeholder needs to completely understand the value that the brand brings to the table while being inspired to think beyond those words and pictures in terms of what it can for them now, and in the future. The problem was that the company needed to rebrand itself and its current website platform limited its ability to present an on-line experience that truly reflected of the talent, expertise and innovative thinkers behind the awesome product that it offered. And, there was a VERY aggressive timeline – measured in DAYS – in order to prepare for a large marketing blitz. 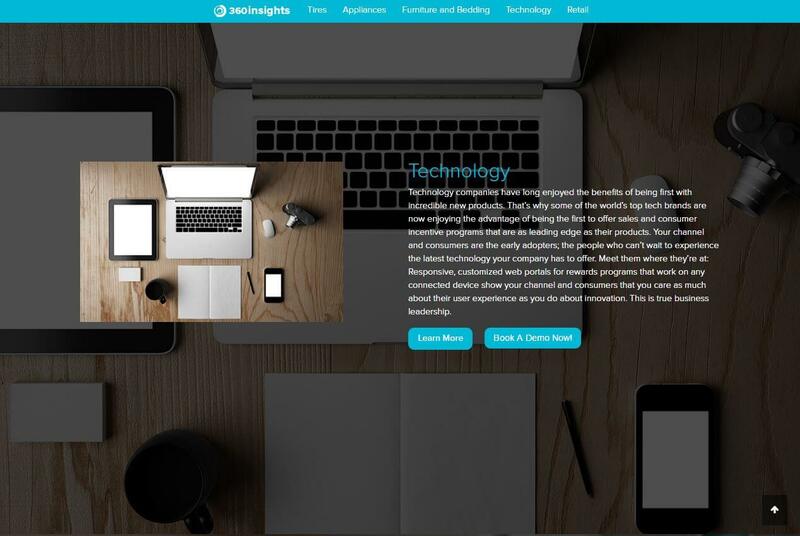 360insights.com Testimonial from Digital Ink Technologies Inc. on Vimeo. A decision was made to reimagine the company’s on-line presence from the ground up and partner with an outside firm to get the job done quickly. Understanding that our client’s biggest need was delivering a website that truly reflected the innovative nature of its people and business, DIT guided 360Insignts throughout the planning, design, development and roll out phases and, all in record time. DIT, we are experts at overcoming all technical challenges. One of the greatest challenges was coordinating the efforts of creative and technical teams form both DIT and 360Insights under aggressive timelines. Using collaborative on-line planning, revisions and approval tools, including group video and remote desktops, the project team was able to stay focused on hitting deadlines while staying within budget. A Global Competitor For High-Precision Automotive Parts Stamping. Delivering high performance and military-grade time pieces to a global marketplace. Teaching The World’s Bartenders How To Do It With Flair. Building Anything Better with Logix Insulated Concrete Forms. Seeking people who genuinely care as much about your internet presence as much as you do? Let's Partner on Your Project Today!